Gulfstream ended the year with a brace of accomplishments for its G650 program that set the stage for a busy 2013 in terms of deliveries. The company delivered its first G650 to a U.S. customer last week. "The first delivery of an aircraft is always an auspicious occasion and this one is especially so. This delivery represents the beginning of a new era in aircraft design and manufacturing in terms of quality, capabilities, reliability, parts availability and maintenance activities," said Gulfstream President Larry Flynn. "We're thrilled to see the first G650 leave our hangar for a customer's. Soon the G650 will be a common sight at airports around the world." The company also closed out the year with a couple of important certifications. As the first revenue G650 was winging its way home, the FAA granted a production certificate to the Savannah plant for the new jet. Almost simultaneously, EASA certified the G650, meaning deliveries to the 27 member countries can begin immediately. "This is quite an achievement for Gulfstream," said Flynn. The FAA certified it in September. Certifications in other countries are expected to follow quickly. Russia's Interstate Aviation Committee (IAC), also known by its Russian acronym MAK, has granted type certification to Embraer for the Lineage 1000 business aircraft, opening the door for Russian customers to register and operate the type in Russia. 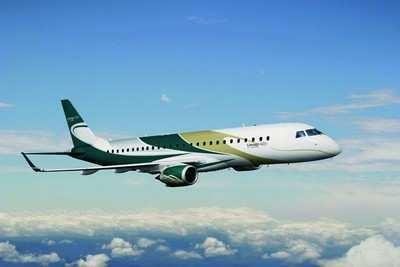 The Lineage 1000 is Embraer Executive Jets’ largest executive aircraft in a seven-strong family of business aircraft models. It provides a balance of performance, intelligent luxury and high reliability. Its range, listed as 4,500 nautical miles with four passengers and NBAA IFR fuel reserves, gives the aircraft the capability to fly nonstop from Moscow (Russia) to New York (U.S), from Beijing (China) to Dubai (United Arab Emirates), from Hong Kong to Sydney (Australia), and from London (UK) to Dubai. The aircraft is equipped with the Honeywell Primus Epic avionics suite and a fly-by-wire flight control system, which provide pilots with a highly intuitive cockpit. 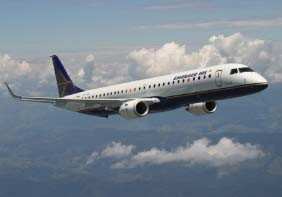 Earlier this week, the MAK granted type certification to Embraer for its E190 and E195 regional airliners. A bankruptcy judge ruled Tuesday that Hawker Beechcraft may move forward with the sale of its remaining Hawker 4000 business jet inventory. The move comes three weeks after the judge rejected the company’s request to expedite the sale of Hawker 4000 inventory, saying Hawker Beechcraft shouldn’t race to abandon the assets and sell them at substantial discounts. The company has 20 Hawker 4000s in its inventory with a retail value of $20 million each, it said in a November court filing. That includes 13 new Hawker 4000s, three in production and four used planes. An ad hoc committee of Hawker 4000 owners protested the sale with the court last month, saying that rather than hasten the process, sales should move forward in a measured, responsible way to maximize their value. Hawker Beechcraft filed for Chapter 11 bankruptcy protection May 3. Hawker Beechcraft must maintain information about each Hawker 4000 sale, including the serial number, name of the buyer and the purchase price, which must be provided to the U.S. Trustee and advisers monthly, the judge said in his ruling Tuesday. The company said in late October that it was discontinuing the warranties on Hawker 4000 and Premier 1 and 1A business jets as well as its extended service contracts on the two planes. It’s also discontinuing its agreements to upgrade and enhance the Hawker 4000s. 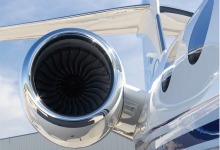 Hawker 4000 owners, in response, have hired attorneys to protect their interests. Hawker Beechcraft has said it plans to exit its jet business after emerging from bankruptcy early next year. After talks to sell the company, except for its defense business, to Superior Aviation Beijing broke down, Hawker Beechcraft said it planned to emerge from bankruptcy as a smaller, stand-alone company called Beechcraft Corp. The reorganized company will focus on the King Air, Baron and Bonanza lines and defense and after-market business. The Embraer 190 and the Embraer 195 jets have received the Type Certificates from the Interstate Aviation Committee (IAC), also known by its Russian acronym MAK, paving the way for Russian airlines to acquire the 112 to 124-seat aircraft. Embraer estimates that domestic airline passenger volume in Russia will grow an average of 5.6% per year over the next 20 years and that its airlines will need some 445 new aircraft with 30 to 120 seats. This represents 7% of the world demand in that capacity segment. In the 91 to 120-seat category where the E190 and the E195 are positioned, the Russian market will need about 300 new aircraft. The E-Jets are already well established in several countries in Russia’s vicinity – Poland, Finland, Bulgaria, Estonia and the Republic of Moldova – and in CIS (Commonwealth of Independent States) countries where Embraer has E-Jets customers in Kazakhstan, Azerbaijan, Belarus and Ukraine. It never hurts to plan ahead. The Navy Flight Demonstration Squadron, the Blue Angels, announced its show schedule for the 2014 season at the annual International Council of Airshows convention. Following winter training, the team begins the season Mar. 15 at Naval Air Facility (NAF) El Centro, CA, and will conclude the season Nov. 8 at Naval Air Station (NAS) Pensacola, FL. The Blue Angels are scheduled to perform 65 shows at 34 locations throughout the United States in 2014. Demonstration sites are selected in support of the Department of Defense objectives and in the interest of the armed services with safety as the primary consideration. Performances support the recruiting and retention goals of our military services, enhance esprit de corps among uniformed men and women and demonstrate the professional skills and capabilities of the Naval services to the American public and U.S. allies. For information about individual air shows, please go to each air show’s official website.